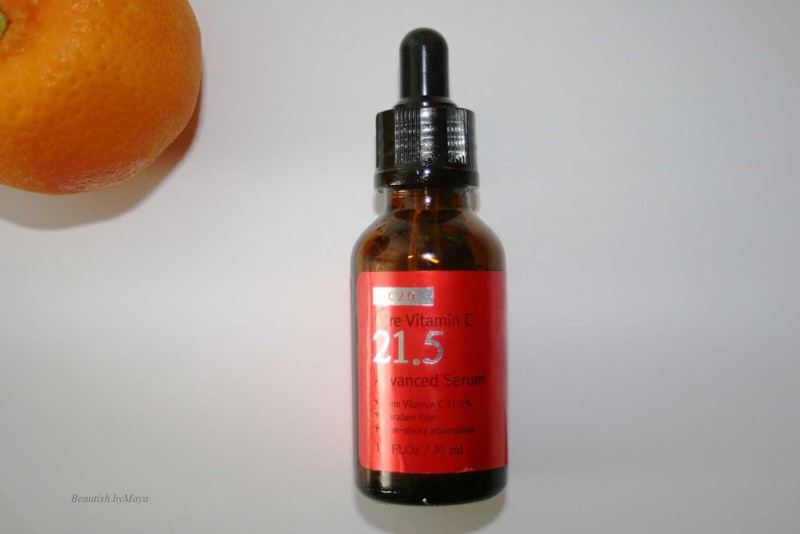 Today’s post is special, I will review one of my all-time favorite skin care products; the famous Pure Vitamin OST C C21.5 Advanced Serum. 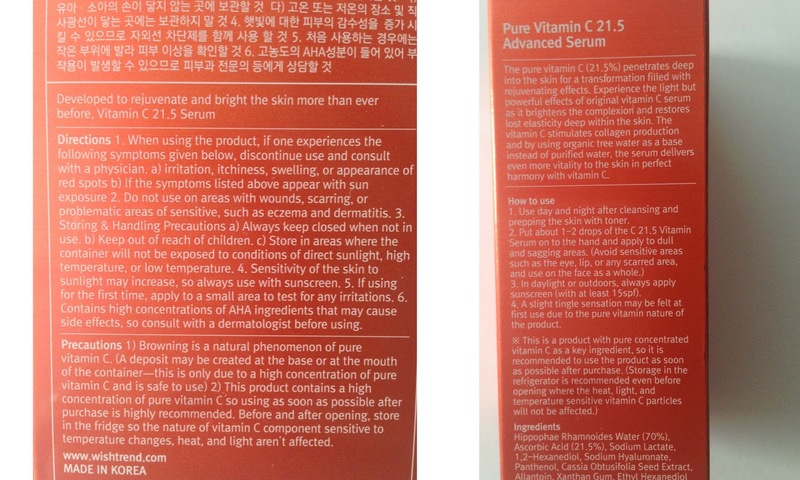 Chances are you have already heard about it, a very popular Korean vitamin C serum at the moment. You can buy it at Wishtrend for 29.99$, now 24.99$ on Wishtrend + free shipping. I can’t wait to rave about it ) I have been using the serum for about 2-3 months and its long enough to write a honest and extensive review . Actually, I’m half way through my second bottle right now. I was really excited to try this product out, as it seemed to have highly positive raved reviews. Shortly on my skin history: I always had dehydrated sensitive acne prone skin with lots of blemishes and acne breakouts. After I hit the 20s my skin calmed down, but I was left with enlarged clogged pores, scars, and occasionally small acne breakouts. My skin started to get better after several microdermabrasion and two TCA peelings at the dermatologist office. Although, the procedures improved the aesthetic appearance of my skin, I was left with practically the same problems as before: dehydration, fine lines (‘’wrinkles ‘’ from dehydration), hyperpigmentation, clogged enlarged pores, and occasional acne/pimples. It was the Korean skincare regime that drastically improved the condition of my skin. I introduced different Asian skincare products carefully and slowly into my routine to see how my skin react and which products work on me. I will later do a separate post on my skincare routine, which will be detailed and probably very long J. 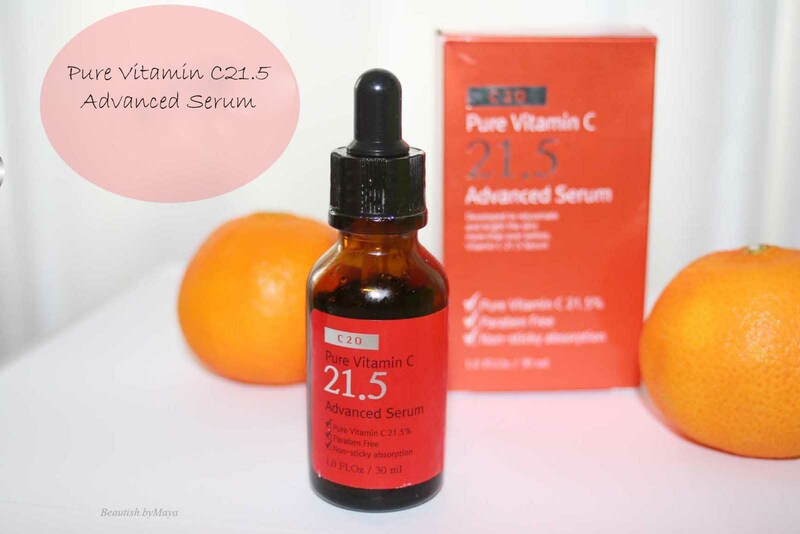 The Pure Vitamin C21.5 Advanced Serum is really the star product of my skincare routine. Before, that I was only familiar with western brand vitamin C serums that didn’t do much for my skin, besides maybe irritation..snif..snif.. Luckily we found each other –oh vitamin C21.5. The product is recommended forrecommended for : - Brightening & whitening skin - Skin pigmentation and blemishes (PIH) - Dry, unhealthy skin - Uneven skin tone & discoloration- Rejuvenation & nourishment. So many potential improvements, just exactly what my skin needs. 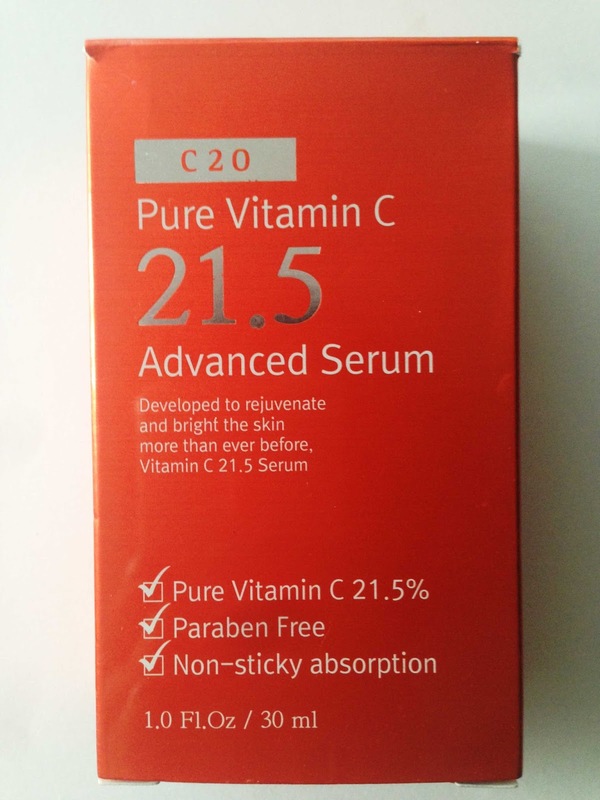 Note: The Pure Vitamin C C21.5 Advanced Serum is actually an upgraded version of the original Pure Vitamin C20 serum. The updated version is an improved simplified formula: 10 ingredients instead of 29 ingredients and it promises greater hydration and absorption without the stickiness of the Pure Vitamin C20. As you may have guessed already from the name, it contains 21.5% of pure vitamin C instead of 20% in the original. If you compared the ingredient list of the two versions, then its clear that the updated C21.5 is inferior. I would advice to buy the advanced updated version as it contains no alcohol and much less fillers, but if you are on a budget then you could buy the old version for only 14.99$ at wishtrend. An impressively short ingredient list, good for my sensitive skin. We will short go through the important ingredients listed. Sodium Lactate is a highly potent emollient, increasing the moisture functionof the skin significantly. It also has antimicrobial, exfoliating an pH adjusting properties. Sodium Hyaluronate, a very know humectants, holds 1000x water in the skin. Penetrates the dermis and provrds elasticity and hydration of the skin. Asorbic Acid: Serum contains 21.5% (second listed) of Asorbic Acid which is a derivative of vitamin C. From what Iknow 10% is the minimum concentration required to be effective when applied topical. At around 20% Vitamin C works optimal, so the Pure Vitamin C21.5 contains an optimal concentration of active ingredient. A concentration that high is not very common in the beauty industry, most western brands develop serums with a 10% or even less, I have seen 5% vitamin C serums. Asorbic Acid is only one of the Vitamin C derivates available. It’s the most effective vitamin C to apply topical, but it’s really unstable, light sensitive and oxidizes fast. Running the formula through the Cosdna did not show any red flags. Vitamin C is one of the scientifically proven and extensive researched skin care agents. There are many scientific studies on its efficacy in topical cosmetic application. I have found an interesting review by Farris PK : Topical vitamin C: a useful agent fortreating photo aging and other dermatologic conditions. Authors Conclusion: ‘’A significant body of scientific research supports the use of cosmeceuticals containing vitamin C. Cutaneous benefits include promoting collagen synthesis, photoprotection from ultraviolet A and B, lightening hyperpigmentation, and improvement of a variety of inflammatory dermatoses. Because of the diverse biologic effects of this compound, topical vitamin C has become a useful part of the dermatologist's armamentarium’’. Hence, Vitamin C does almost everything a skin junkie like me could dream of! The product comes in a dark bottle in a bright orange packaging, which is very reminding of typical vitamin C fruits, oranges. The dark colored glass protects the serum from oxidation, which happens when the product is exposed to light. In the package a separate glass dropper dispense is included. I really like this method of application, you can precisely control how much product to use. Very important, the serum has to stored in the fridge to prevent oxidation. Otherwise, you could end up very soon with a brownish/yellowish liquid. With my first bottle the serum turned slightly yellowish after 2 months, but this is normal as long as it’s not yellow/brown. To make sure I tested it on a fresh apple. 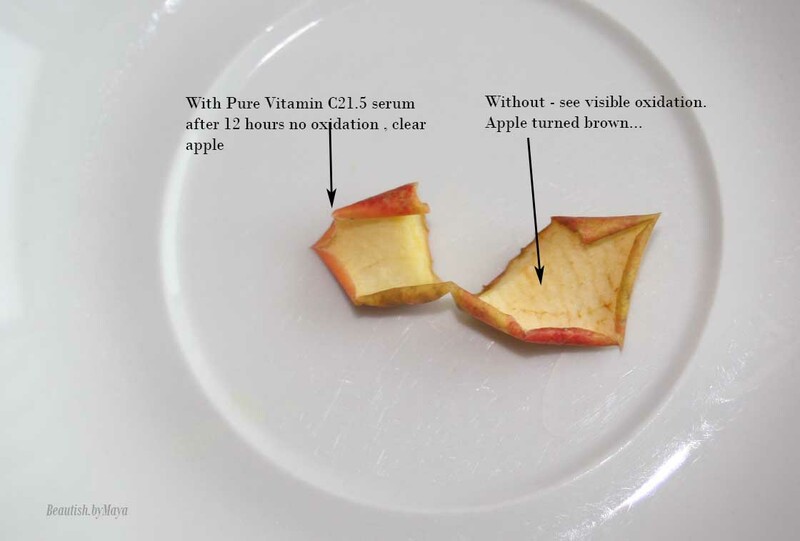 A few drops of serum and the surface of the apple didn’t oxidizes. The product can be used in the morning and evening. Just keep in mind that Asorbic acid is photosensitive and you will definitely want to use sunscreen. When I first introduced the serum into my skincare routine, I used it both AM and PM. But Two weeks ago I started using BHA Cosrx Blackhead liquid mornings and C21.5 evenings (I will review later Cosrx Blackhead liquid later). I introduce exfoliates slowly into my skin care routine. I apply 3-5 drops of this serum on my entire face after cleansing. The Vitamin C21.5 has a low ph (2.5) so you will need to lower your skins ph after cleansing with an ph adjusting toner or wait 20 minutes for the skin ph to decrease (skin pH increase increases after cleaning, tip use an acid cleanser). In the pH dependent acid debate there are many different opinions. I find the post by snow white and the pear about pH dependence and skincare order very informative, so if you are interested then check it out. The serum smells fruity like oranges which is very pleasing. After application I wait for about 20-30 minutes for the serum to do its work before proceeding, an immediate next step will disrupt the function of the acid. I follow up with a regular serum, (occasional sheet mask), emulsion and spot treatment. With the serum there is almost no stickiness and it does not dry sticky. The serum absorbs fast and leaves no residue. Additionally, I find that it facilitates the absorption of other products, serum and emulsion. There is no tingling sensation, maybe only with the first few uses before the skin adapts. Reminder: I store the product at all time I the fridge, applying it in the kitchen. It’s a little bit annoying but worth it, also you will get used to the skin regime and it will become like a ritual before bedtime. If there was only one product I could take with me on a unhabited island, it would be the Pure Vitamin C21.5. My skin condition has improved drastically since using this product, it’s just amazing, spectacular. Firstly, I had several visible hyperpigmentation that faded away in just 2-3 weeks, the bigger ones are still there but getting lighter, slowly fading away. Secondly, my clogged raised pores literally disappeared, improving skin texture. Thirdly, I have some visible fine lines on my forehead which are becoming less visible and slowly disappearing. Picture below is after using the serum for over 2-3 weeks, as you can see my congested skin cleared up. As for the moment, I have some purging from Cosrx BHA liquid, but it is still visible how my skin improved over time. As you see the results are remarkable, I don’t know what I would do without the product. My beauty world would end. I have acne prone cheeks, so this is my main problem area. Im also surprised that the visible spider veins which are very annoying, started to disappear (before, nothing seemed to help). 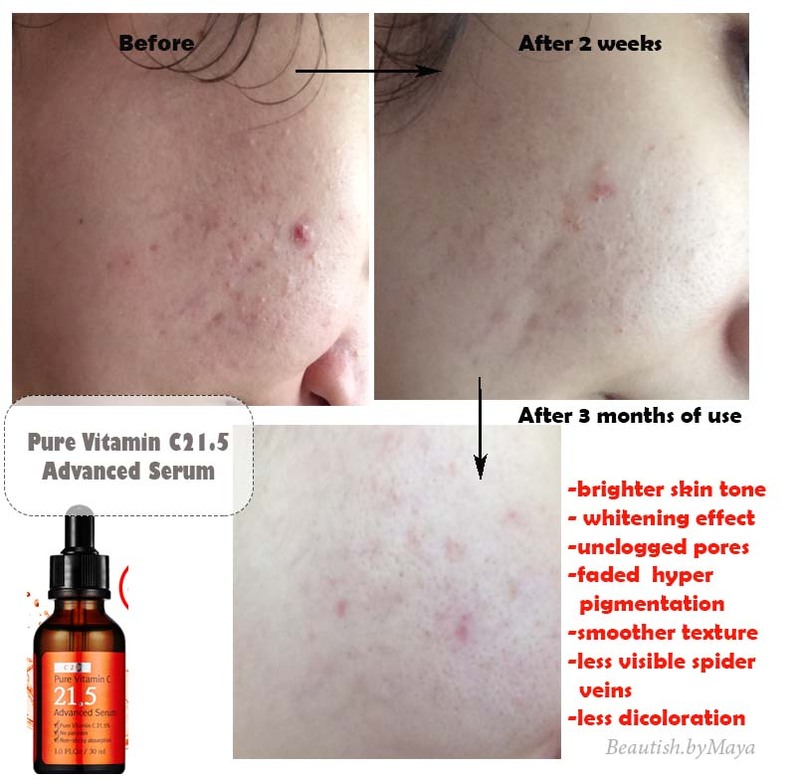 Overall the of Pure Vitamin C21.5 brightened up my complexion, improved my skin texture, diminished hyperpigmentation and UV spots, got rid of closed clogged (flesh colored) pores, diminished the appearance of spider veins and discoloration. I have to add that some of the clogged pores formed into flat blackheads. That’s why I started using Cosrx BHA blackhead liquid. Pure Vitamin C21.5 is a great product but of course can’t do everything. This is actually the secret of Korean skincare: product layering to get a maximum benefit out of each product and customizing your skin care routine. I can’t rave enough about it, I would advise this product to anyone, anytime. The price is quite good for the quality of the product. The bottle will last you 2-3 months depending on how much and often you use it, it is advised to use the serum as soon as possible after opening. Available at Wishtrend here for 25$ plus free shipping. Effectively diminishes/fades hyperpigmentations and UV spots. Vitamin C really is a skincare superhero. It is!! have you tried it before? Thanks ) yes you can use it with a BHA. Just apply the vitamin C after cleansing and toning (if this is ph adjusting toner not hydrating). If you don't use a ph adjusting toner than I would suggest to wait for 15-20 before using vitamin C, your skin ph is higher after coming in contact with water so needs time to go back to normal. After applying vitamin C wait 20 using BHA. Vitamin c ph is lower than BHA and you don't want to disrupt the function of it with a higher ph of a BHA. So yes you can use the two in one routine just make sure it's not to much for your skin. Wow this sounds amazing! I think I might need to try this, my pores are really visible and I have a lot of acne scaring. Do you think it will be ok on oily skin? I've had my eyes on this one forever (just can't decide between the new and the old version now!) 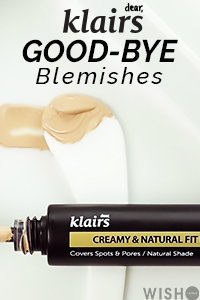 and loved reading your review~ Especially since you use it with the BHA by Cosrx and I've recently started using their AHA, so I hope they'll be compatible, too! Which BHA are you using? 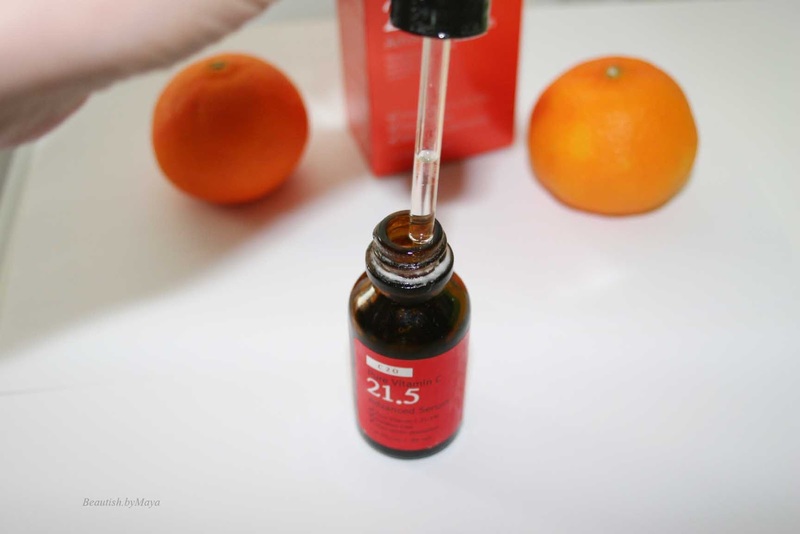 The vitamin C21.5 serum has a ph of 2.5 so it should go after cleanser + toner, then you can follow with a BHA product, here the ph is usually around 3.4-4. You should always built up products that work at a lower ph -> higher pH. Personally, I use vitaminC21.5 PM and BHA liquid cosrx AM, but it really depends on your skin and personal preference, so you can use them together in a routine. My skin is just really sensitive but I will probably start using them together too. Hi I'm using clinique toner and facial foam. Is it fine that i can use it with C21.5??? Hi, that's a very informative review! I've just started using c21,5 but got a little confusion about the steps. Now I'm using Pixi Glow Tonic as my exfoliating toner. Should I use the c21,5 after or before the toner? I always apply the Pixi with a cotton pad so I thought the serum will be swiped away if it applied before the toner. The serum also stated that we could mix it with 2-3 drops of toner to get the maximum results, what kind of toner that you would recommend? I was wondering, what would happen if we use the oxidized serum? Also, if I were to buy for a friend, and that not to be delivered to her soon, do I also need to keep the box in fridge? And, whats the effect if a normal skin person (not acne prone) uses this serum? HI, sorry for the what late answer (sometimes, I miss comments, its easier to reach out on twitter ;). Hope my answer will be still helpful. - if your serum is oxidized it just wont do anything for your skin, maybe nothing bad but you wont get the benefits of asorbic acid out of it. I tried it once and it didn't do anything, just doesn't feel nice on the skin. - The serum is actually not for acne, but it can have a positive effect on acne etc. Vitamin C is really good if you want to brighten your skin, get rid of acne scars and sun-damage (stimulates skin renewal), also its a potent anti aging agent. Hi! Thank you so much for the information here in this post! I'm a 26 yo and I am thinking about buying this, but i have been really sensitive to vitamin c in the past (sesderma c vit serum) and also I've started topical 0.5% tretinoin recently (witch has done wonders for my skin), but i wanted a day time antioxidant serum.. My skin has the ocasional breakout, sensitive but with no major problems besides that, I just want to prevent ageing. Do you think this is appropriate? Thank you so very much! Glad its helpful) If you are already using tretinoid then its doing its anti aging job. I haven't tried other Vitamin C serums, but this one is really potent. Its good for brightening acne scars and sun damage, also fine lines and overall ski structure. For e it really improved skin texture and reduced pores. I have looked for the ingredients of the serum you are using, it does seem to contain a some stable form of vitamin C (less potent) and I dont know the concentration of vitamin C, the formula also contains alcohol so maybe that's why you broke out?. Well, I can tell you that the formulation of the sesdermaC vit is totally different so its worth trying the OST vitmanC21.5 serum. Just patch test it and start slowly, first a few times a week, see how your skin reacts. I'm very impressed with this amazing review. I've used the old version of OST and I was thinking about test this upgrade version, and after read you I'll do it!! it is save for 20 years old with really sensitive skin? Can we use this everyday? and how about if we use face oil afterwards? Because now I'm adding rosehip oil to my regime. You can add face oils to your regime, no problem! (I]m using them too) just let the vitamin C absorb and follow your regime. Do we need to use sunscreen after applying this ? Hello, Erm, I'm using the cosrx AHA/BHA clarifying toner. Do I apply the vitamin C21.5 before or after the toner? Thanks!! References - Velez, Valeria. “pastillas para adelgazar rapido de 2018.” Adelgazaroficial.Com Ie. Adelgazar Oficial, https://adelgazaroficial.com/. Accessed 22 Nov. 2018.